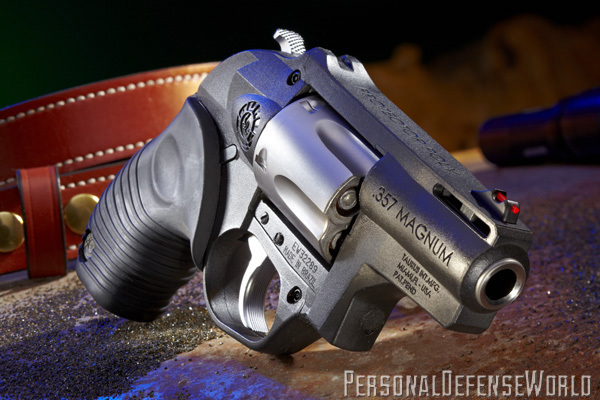 Looking at the top concealed carry handguns for deep cover self-defense! 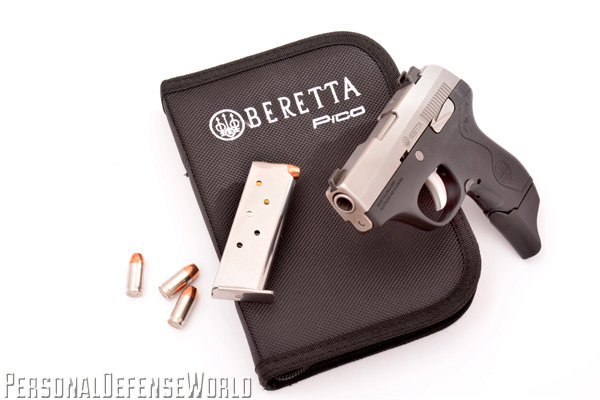 Ranging from compact .45 ACP bruisers perfect for pocket or appendix carry, to svelte .380 ACP pocket pistols that defy the physics of subcompact handguns, we take a look at guns ideal for concealed carry and deep concealment from Beretta, Chiappa, Colt, Glock, Kahr, Kimber, Ruger, SCCY, Smith & Wesson, Taurus, and Walther. From perennial favorites to some new and innovative designs, there’s a gun to fit anyone’s concealed carry needs. Read on to see them! 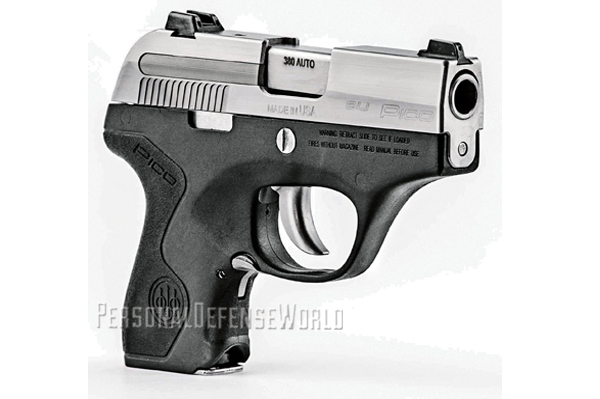 The brand-new Beretta Pico .380 ACP has the same groundbreaking construction as the 9mm Beretta Nano, utilizing an interchangeable, one-piece, molded Technopolymer frame (or “chassis”). This frame surrounds a separate stainless steel fire-control subchassis made up of the frame rails, trigger and firing system. With a short 2.7-inch barrel, a width of 0.72 inches and a height of 3.87 inches (using a flush floorplate magazine), the entire gun only weighs 11.5 ounces. Also, the .380 can be quickly changed to .32 ACP by swapping out the barrel (offered separately). The existing magazine loads either .380 or .32 ACP. For more information, visit berettausa.com or call 800-929-2901.
finish. 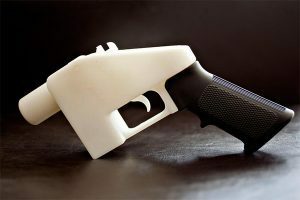 For more information, visit chiappafirearms.com or call 937-835-5000. Colt’s has created an entirely new polymer-framed version of the Mustang—the XSP. It features an enlarged, squared-off tactical triggerguard, a thumb-rest grip design, larger dovetailed sights and a 0.375-inch accessory rail below the dust cover. Enhancements to the design include an upgraded front and rear sight, larger slide serrations to offer an improved grip, and ambidextrous safeties rather than the typical single safety. Weighing less than 12 ounces, it is the lightest of all the Mustang models. 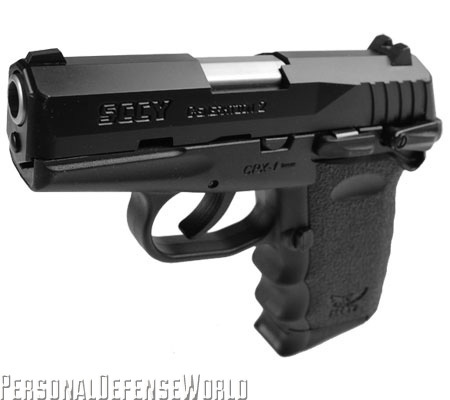 The .380 ACP XSP has a 6+1 capacity. For more information, visit coltsmfg.com or call 800-962-2658.
a height of 4.8 inches and a carry weight of just 20.28 ounces empty. The new Kahr CW380 double-action-only (DAO) model incorporates all the award-winning features developed for Kahr’s PM and CW series pistols. The durable polymer frame provides for a solid grip with molded-in frontstrap and backstrap serrations, textured grip panels and an oversized triggerguard. 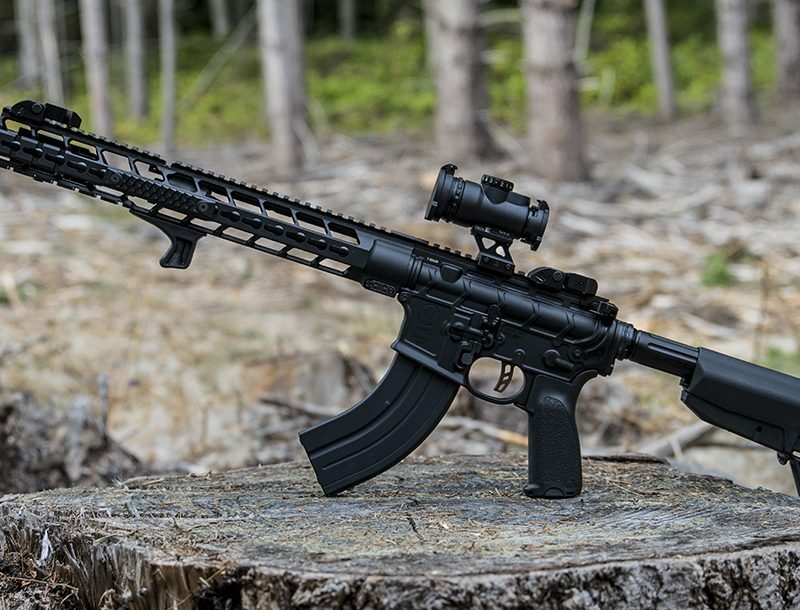 The 6+1 CW380 has a 416 matte stainless steel slide, a patented “safe cam” action, a drift-adjustable white bar-dot combat rear sight and a fixed white-dot front. The CW380 tips the scale at only 10.2 ounces empty, with an overall length of 4.96 inches, a height of 3.9 inches and a slim 0.75-inch slide width. 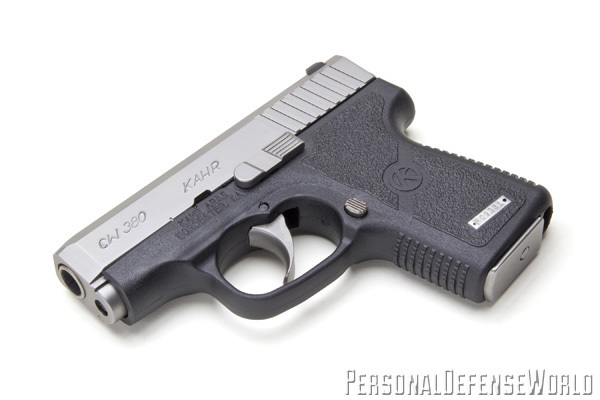 For more information, visit kahr.com or call 508-795-3919. Kimber’s Solo Carry DC (Deep Cover) features a DLC matte-black finish over a stainless steel slide and barrel. 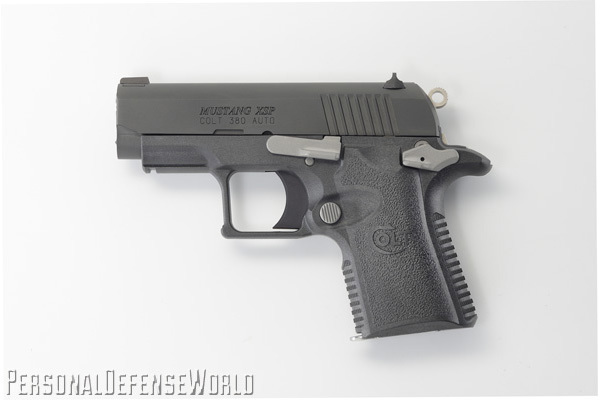 The DC also has horizontal serrations for a positive grip, standard night sights for quick target acquisition in low-light situations and a “Carry Melt” treatment. The Solo Carry DC LG version offers the additional advantage of Crimson Trace Lasergrips. 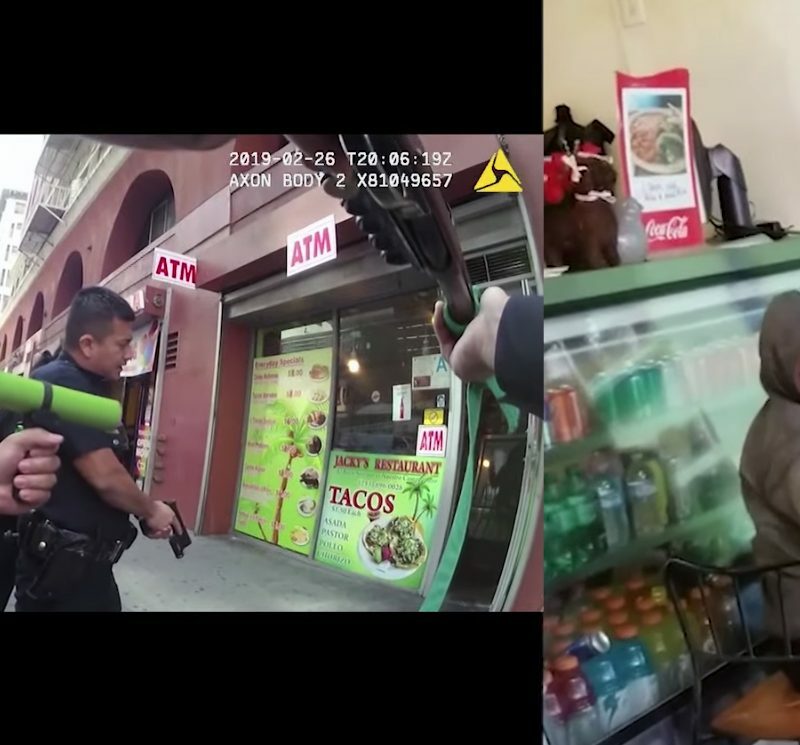 Measuring 5.5 inches in overall length, 3.9 inches in height (with a standard capacity magazine) and 1 inch in width, the DC tips the scales at 17 ounces empty. Standard capacity is 6+1. An extended-capacity, eight-round magazine is also available. For more information, visit kimberamerica.com or call 888-243-4522. 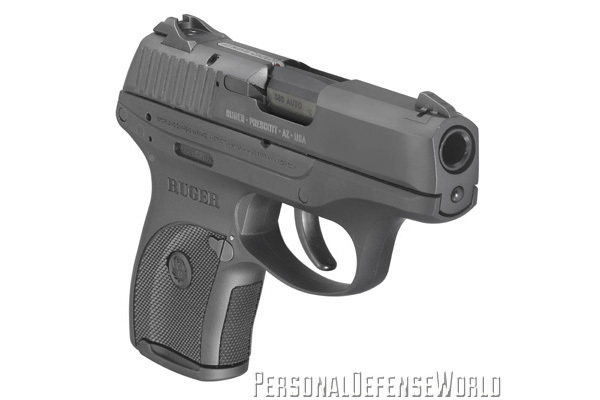 Building on the success of two popular models, the LCP and the LC9, Ruger has taken the best attributes of both and built a new, slightly larger .380 ACP that allows for better overall ease of use and sighting. 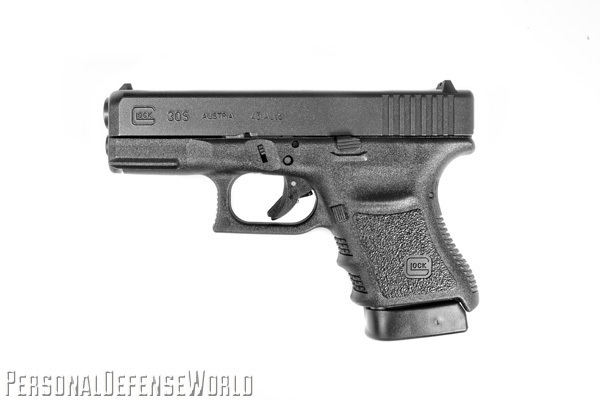 The LC380 introduced last year is fundamentally an LC9 chambered down to .380. It has the same compact measurements, 6 inches in overall length with a 3.12-inch barrel, 4.5 inches in height and a narrow, pocket-friendly 0.90 inches in width. Weight is 17.2 ounces empty. The LC380 provides a 7+1 capacity, a manual safety, a loaded-chamber indicator and white-dot sights. For more information, visit ruger.com. SCCY has made a name for itself manufacturing reasonably priced handguns with quality builds and lifetime warranties. SCCY’s Generation 2 CPX features a barrel machined from bar stock, a 7075 T6 aircraft-grade, heat-treated aluminum alloy frame and a Zytel polymer grip frame. Using an internal hammer, the DAO CPX offers second-strike capability. 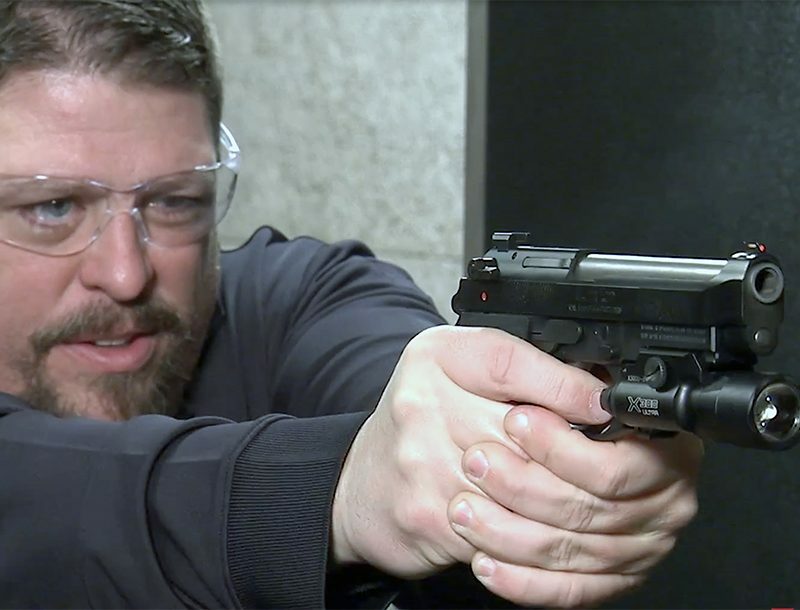 Chambered in 9mm, the gun has a 3.1-inch barrel, an overall length of 5.7 inches, a width of 1 inch, a height of 4 inches and a weight of 15 ounces empty. The SCCY CPX comes with two 10-round, double-stack magazines. For more information, visit sccy.com or call 866-729-7599. 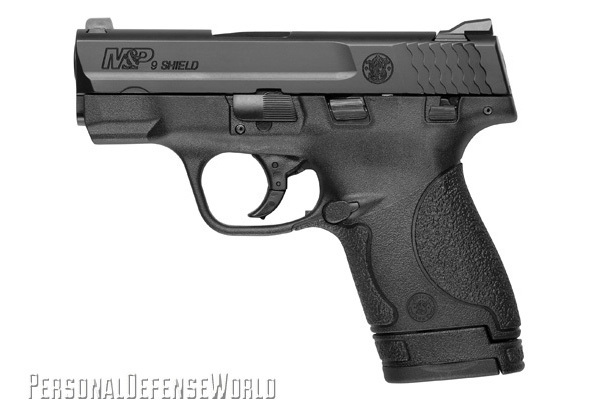 Packing all the performance of the duty-ready M&P series of polymer-framed pistols into an extremely compact and concealable package, the Smith & Wesson M&P Shield (available in 9mm or .40) is the ideal deep-cover carry pistol. 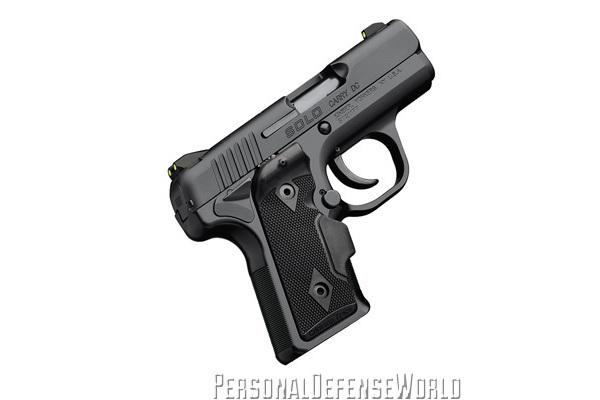 The striker-fired pistol, which comes with seven- and eight-round magazines and weighs in at a slight 19 ounces, sports a stainless steel slide and barrel coated with a corrosion-resistant black finish. The short 3.1-inch barrel, overall length of 6.1 inches and overall height of 4.6 inches ensure that the pistol is extremely easy to conceal and comfortably carry. For more information, visit smith-wesson.com or call 800-331-0852. 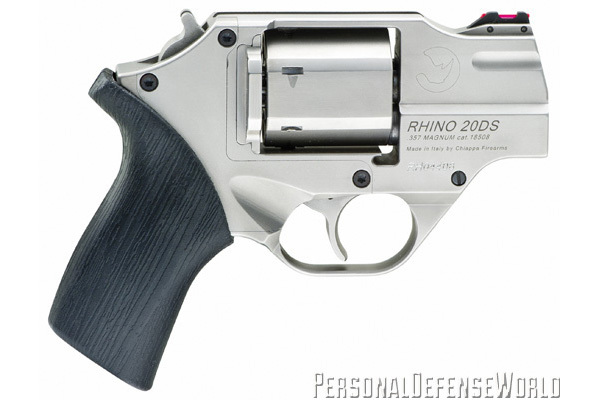 The Taurus 605PLY revolver incorporates a full-metal skeleton bonded to a polymer exterior frame. A polymer topstrap supports a notched rear and a raised, red fiber-optic front sight, and the 2-inch barrel is covered by a polymer shroud with two vent ribs. At only 20 ounces empty, the polymer and steel snub-nose uses energy-absorbing rubber grips to help tame recoil. As a carry gun, the 605PLY stacks up nicely against other small-frame .357 Magnums with an overall length of 6.7 inches, a height of 4.6 inches and a maximum width of 1.25 inches. For more information, visit taurususa.com or call 305-624-1115. There are very few early 20th-century handguns, particularly .380 ACPs, that can still hold their own in the 21st century. 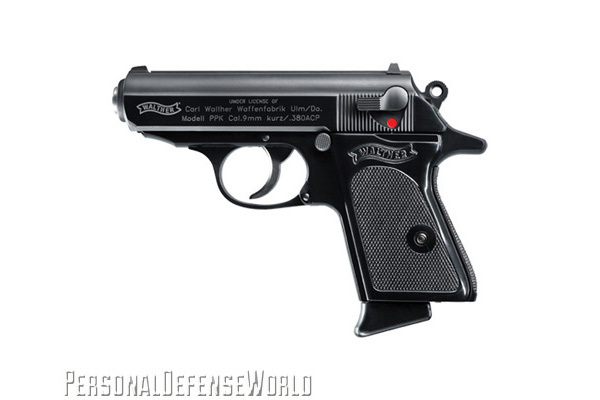 The PPK is one, and it remains a top-12 gun 83 years after its introduction in 1931. Like a great car or movie, a great firearm can become a true classic—a word that fits the PPK perfectly. Measuring just 6.1 inches in length, 3.8 inches in height and a mere 1 inch in width, the PPK has the same diminutive design as the original. Very much like the 1931 model, this is the most-famous concealed-carry gun in history. For more information, visit waltherarms.com or call 479-242-8500.